Gallipoli Medical Research Foundation (GMRF) recently held a Supporter High Tea to thank the people who make their research possible.  Thynne + Macartney was the presenting partner of the event. GMRF relies on the generous support from the local community to continue progress towards new treatments to serious illnesses. 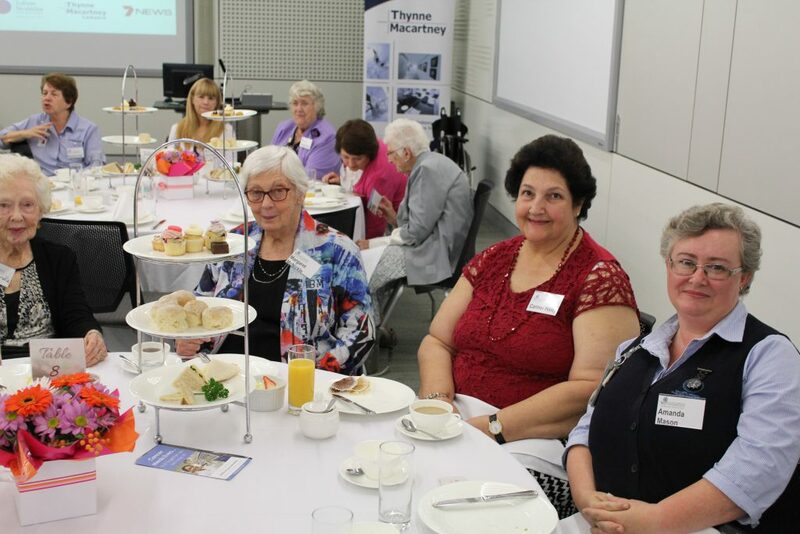 “The annual Supporter High Tea is held to show appreciation to the individuals and local community groups for their incredible contribution over the past 12 months,” Sharon Wood, Foundation Partnerships and Development Manager said. Emceed by Channel 7 Presenter, Pat Welsh, the High Tea was attended by around 90 guests. “Each of these supporters has their own unique motivation for supporting GMRF, but are unified in a belief in the power of innovative medical research to restore lives. We were delighted to have The Honourable Dame Quentin Bryce, GMRF’s patron, join us for this event and deliver the opening remarks of thanks to our supporters,” Sharon Wood said. The High Tea presentations included updates from the Liver Cancer Unit, Clinical Trials Unit, the GPH Cancer Wellness Program and the PTSD Initiative. To highlight the value of their support, attendees were given an overview of one of the latest ways in which GMRF is turning research into results: The PTSD Initiative’s Vietnam Veteran Study, which was published in the Medical Journal of Australia in April. Ambassador of our newly established GP Education Program, Dr Phil Parker, presented at the High Tea, detailing how these world-first research findings are now helping general practioners and other health professionals better identify the physical symptoms of Post Traumatic Stress Disorder. 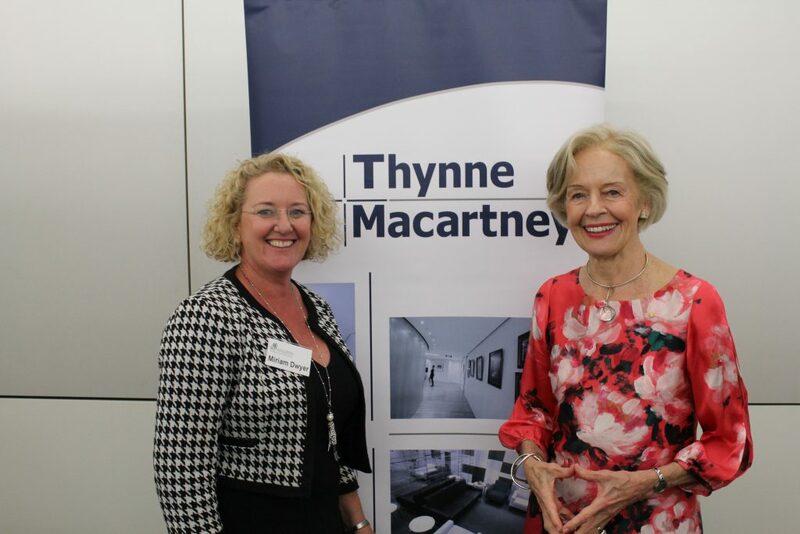 “We would like to sincerely thank Thynne + Macartney for their support of this event and for their ongoing committment to our medical research,” Sharon Wood said. Miriam Dwyer, CEO of GMRF and the Honourable Dame Quentin Bryce, GMRF’s patron.